Greetings from the 2018 Adventure Treks instructor orientation! About 60 instructors have come together for two weeks of training as we eagerly prepare for the arrival of our students. And let me tell you: It’s great to be back in full Adventure Treks mode again! As your kids will tell you, life is better at Adventure Treks than it is out in the real world. Excitement, kindness, community, competence, commitment, and impressive role models are just a few words I would use to describe the vibe as our instructors greeted each other on the opening day of orientation. This is a great group of instructors. We have a 75 percent return rate, an average age of 27, and an average three-year tenure of Adventure Treks experience each. More important, our instructors are committed to using the joy and excitement of the outdoor adventure experience to facilitate personal growth, strong friendships, and a close community living experience. The first week of instructor orientation will be spent together, camping as a large group in southern Washington. Here we review Adventure Treks’ safety policies and procedures and build a close community that emphasizes kindness and inclusion. This “big group” orientation will be followed next week with trip-specific training, where each five- or six-person instructor team travels together to their region, scouts trailheads, meets with outfitters, and learns the details of their specific trips. Meanwhile, they bond as an instructor team, plan meals, and eagerly await the arrival of their students. 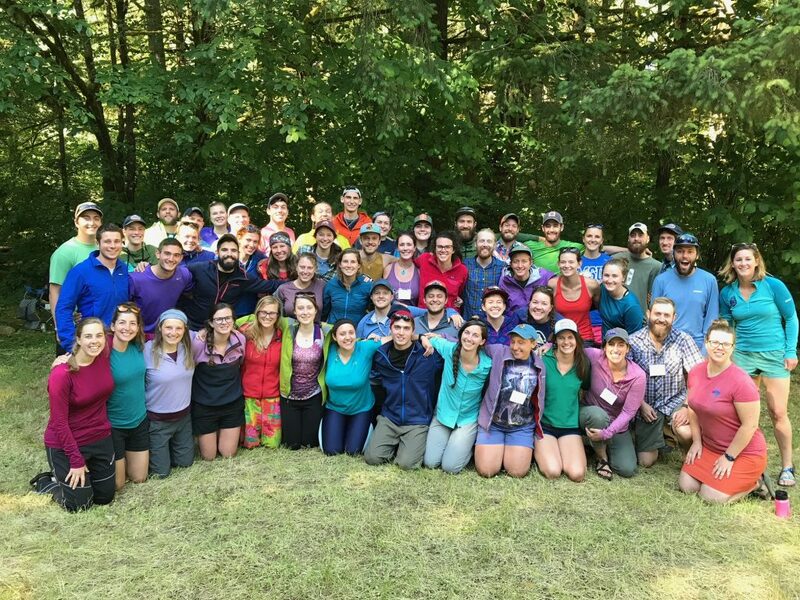 Our leadership team—12 trip leaders, three regional directors, and Dock—have already spent a week at a separate leadership orientation; read more about that here. So what do we do at orientation? We form our instructor team community by modeling the Adventure Treks philosophy for the instructors who are joining us for the first time. We apply leadership theory, current child psychology, and recent developments in brain science to the learning elements in our trips. We also focus on the specific details of each itinerary, and we use this time to review safety, driving, and policies and procedures. We look at ways we can use the natural disruption of these unique outdoor experiences to enhance our learning objectives (our Great 8 Outcomes) and build independence and confidence. We seek out ways to make the great outdoors even more fun than social media and video games! We share the tips and tricks we’ve gleaned over the years as we work hard to make every trip consistent, exceptional, and even better than previous years. As an Adventure Treks parent myself, with two kids champing at the bit to begin their fifth and third Adventure Treks trips, I can’t tell you how excited I am for them to meet and learn from these great role models. I know this group of instructors will be able to reach my kids, and will share important ideas and values in ways I am simply unable to as a parent. I’m eager for the magic to begin! Thanks for your support.